Our summer specific catalog includes some offerings not offered during school year sessions. Do you want to learn how to play Minecraft? Join us on an epic adventure as we work together to explore, build and learn about this amazing world. What can you do in Minecraft? 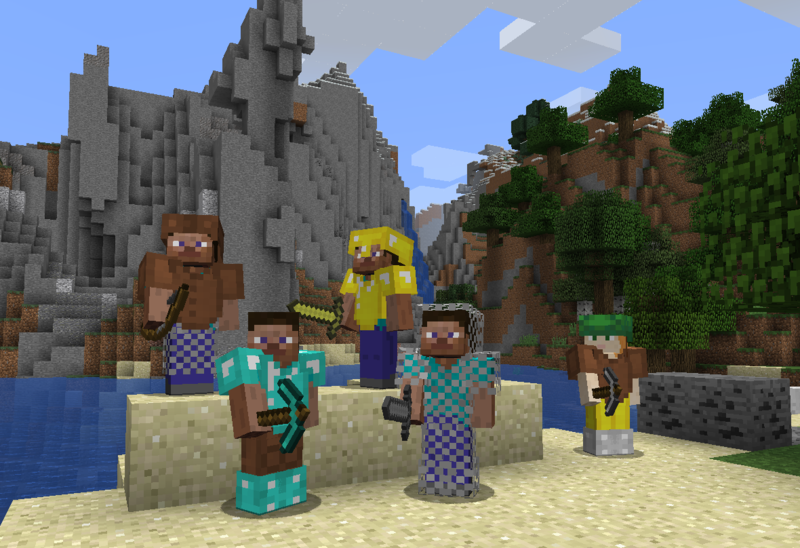 What is Creative Mode and Survival Mode? How do people build those amazing architectures? Why is this game so fun and why is it considered educational? Answer these questions and more with the Minecraft Adventure Team! Are you ready for an exploring adventure? Don’t forget your map! 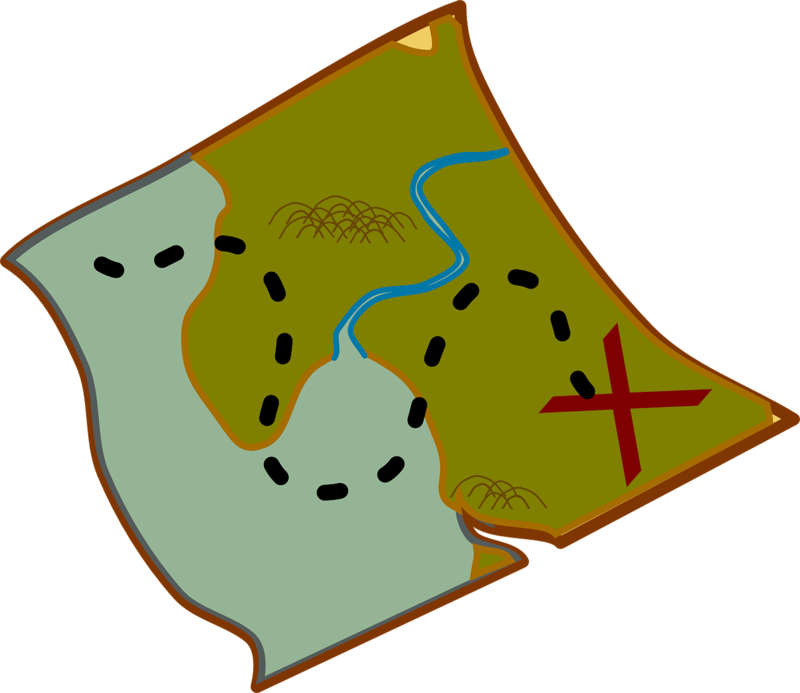 Maps and diagrams help us figure out our location in relation to a place, and help us discover all sorts of treasures along the way. 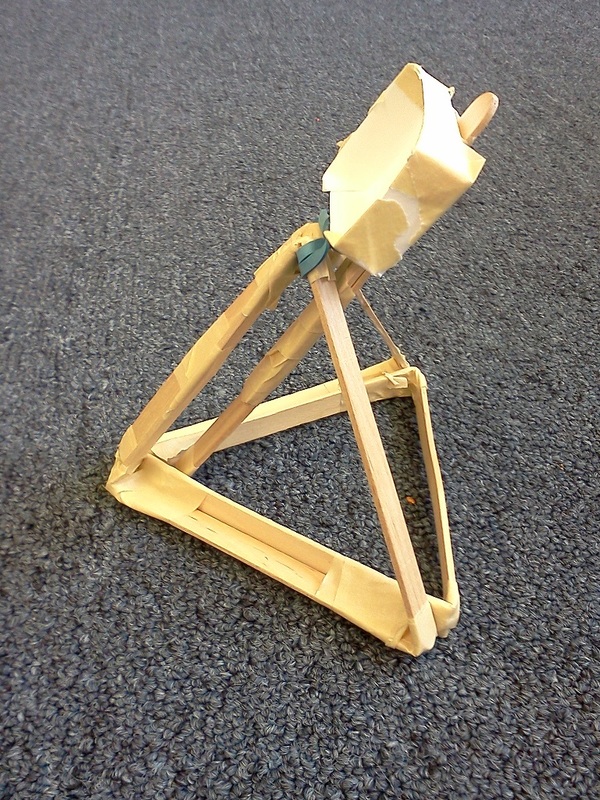 In this class we’ll make pirate’s treasure maps, blueprints, and 3D models out of cardboard. We’ll explore street maps, diagrams, globes and 3D solar system maps. Get introduced to the world of coding! What is coding? What does it do? Why is it so important? Learn the basic language of code such as of sequential commands and loops. 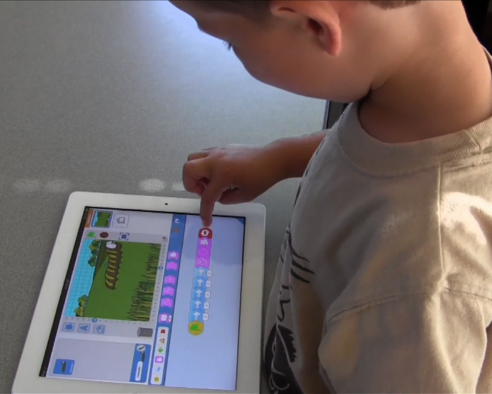 In Coding for Kids students will learn through a series of hands-on projects and activities as well as in Scratch Jr, a tablet based programming environment developed by MIT. Make basic coding logic fun and easy to learn! In this hands-on class students will learn the basics of electronics and the principles of circuitry. Through fun activities, they will use Snap Circuits to bring their learning to life by making motors spin, lights shine, and speakers blare! 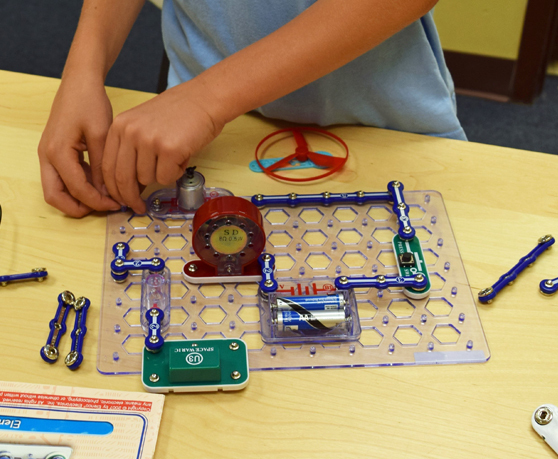 Students will be exposed to circuit components and will eventually graduate from snap circuits to a real wired circuit. New to LEGO robotics? Then this is the class for you! Students will investigate motorized models with Lego WeDo and learn about gears, belts, and motors. 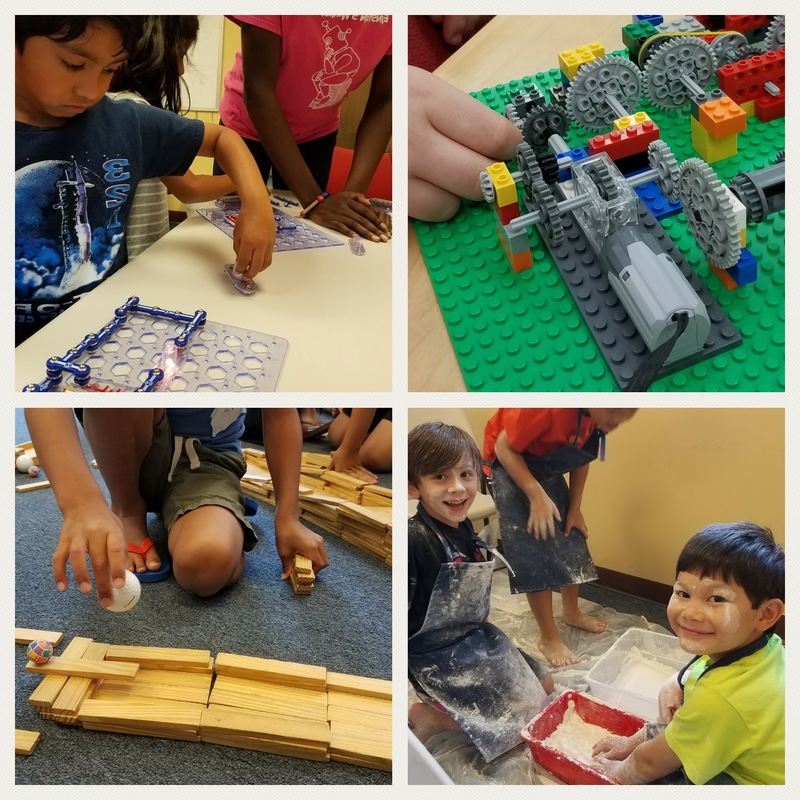 After building each model, students will solve challenges that will exercise their creativity and problem solving skills in addition to improving their understanding of how the machines work! The class will culminate in a project of the student's own design and integrates Lego and motor power. This is your chance to build and re-engineer components of everyday objects and recycled materials into your own cool gadgets! Students will engage in guided challenges to develop a working knowledge of physics concepts and engineering skills by making science gadgets to take home. Students join in entertaining and educational science experiments to gain an understanding of physics including Newton's First, Second, and Third Laws of Motion, Newton's Law of Gravity, and more. We'll make a water clock and water wheel, make and play with marble runs and catapults and many other fun physics projects. 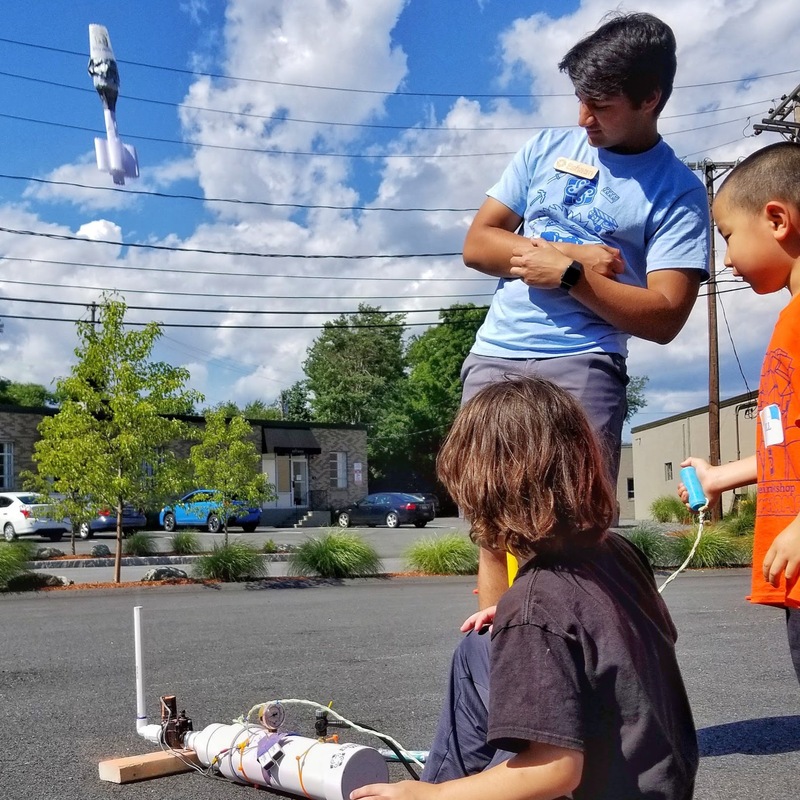 From paper airplanes to rockets, this hands on class will have you making all sorts of flying inventions while exploring aerodynamics and how things move through the air. Students will be presented with problems or challenges and taught how to work toward solutions. Covering topics in engineering, electricity, and everyday science, students will be encouraged to use knowledge, creativity, and flexible thinking as they work toward their end result. Questions include: What kinds of structures can best survive an earthquake? How can we bend water flowing from a tap? What is actually in my breakfast cereal? 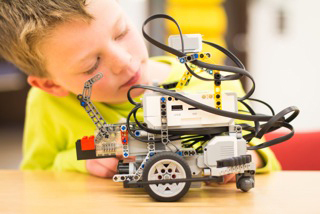 Take your LEGO Robotics skills to the next level while exploring a cool science challenge. In Junior FIRST LEGO League students will work on three components as a team. One, learn about research and read through books to address the challenge. 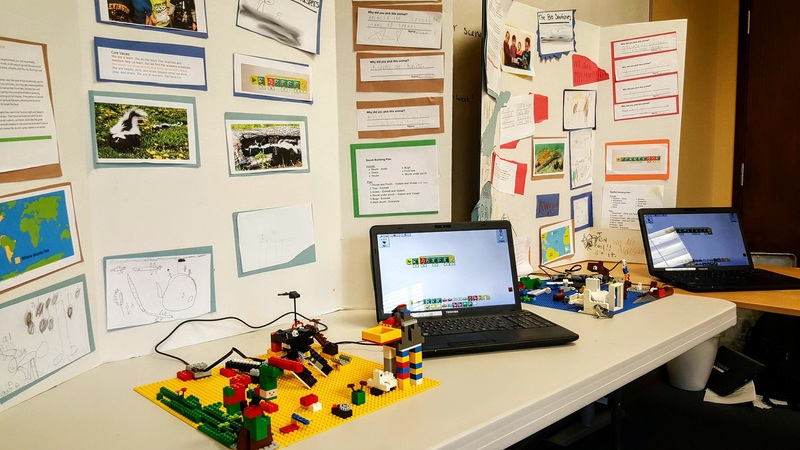 Two, create motorized Lego creations to show how you would solve the challenge. And three, create a poster showing your work. All while hanging out with your friends and having fun learning! Take Lego robotics to the next level with WeDo 2.0. Students will learn how to build simple machines with motorized parts such as winches, pulleys, drive trains and more! Add sensors and program your creations to respond to their environment. Then work together to design a machine to meet the challenge of the day! No previous Lego experience is necessary for this class. Join us to learn basic mechanics with Lego. Learn how to make a truly fast car, extender claws, cranes and more. Learn how gears and belt drives work and when to use them. This class focuses on mechanics and engineering with human power and does not necessarily use motors or programming. Minecraft is more than just a game. 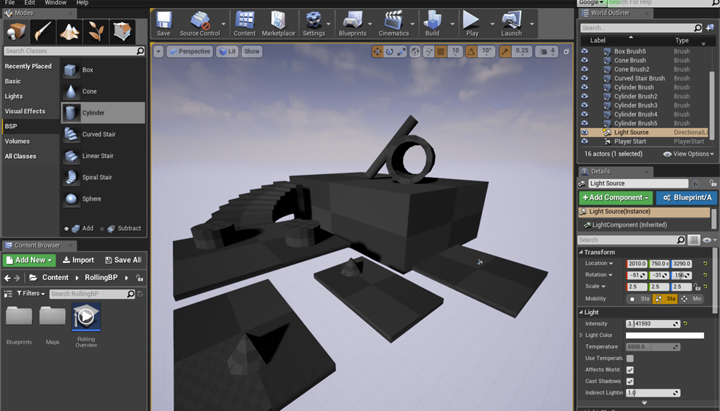 It is a creative tool which allows players to create amazing structures, scenes and works of art. With hundreds of blocks and items students will learn how to engage in "constructive play" as they design and build their structures. Students will work in the same world and learn the meaning of good "digital citizenship" and working together. There is no one theme for this class and students can choose to create from their imagination or use real world reference material for their inspiration. Modern making is so much more than just working with our hands. By using computers and technology we can make anything look professional! Learn simple computer art and design programs to make awesome images and 2D art. 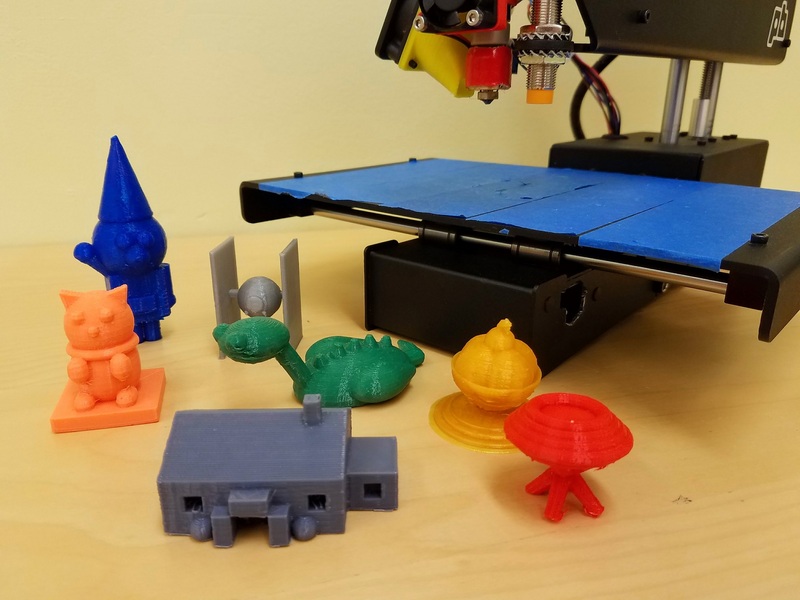 Then we will apply what you learned to make objects in our laser and vinyl cutters to make many cool and useful objects that you will take home! Let's explore simple machines and robotics by using our hands and learning through experience! 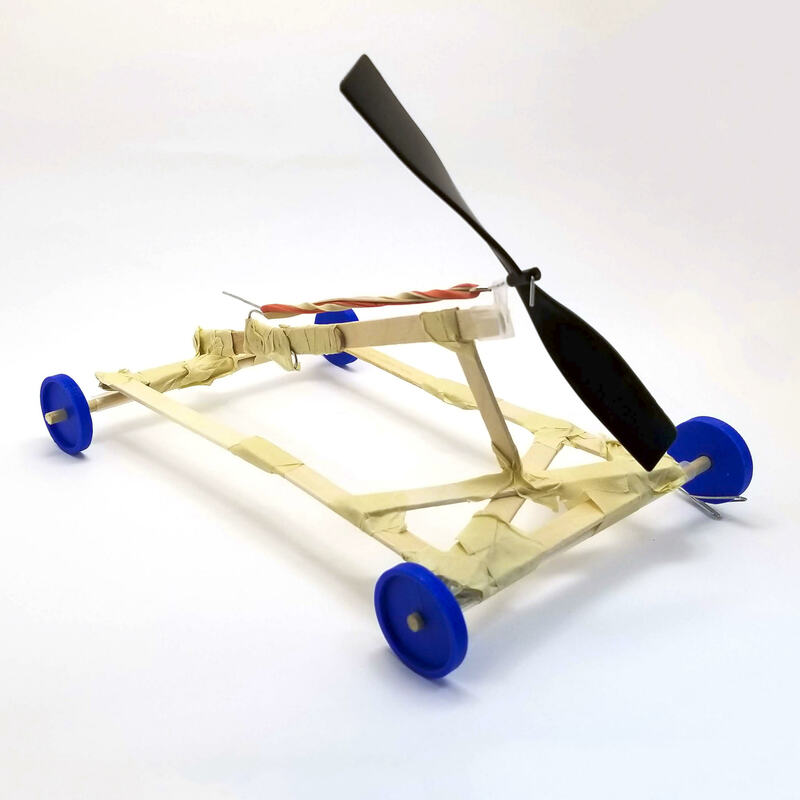 Students will be introduced to beginner mechanics and motion using everyday materials, crafts, powered motors, human power and more. Each week students will learn a new components, designs and building techniques. This class focuses on engineering, teamwork, creativity and problem solving. Learn how to program robots in Minecraft! 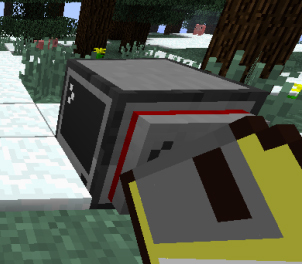 ComputerCraft is a mod for Minecraft that allows students to control and program their very own robots called "Turtles." Learn how to navigate an obstacle course, build a house, and mine using your programmed Turtle. ComputerCraft at Einstein's Workshop uses a drag and drop programming interface to make programming easy and fun. Take a virtual tour of a Mott and Bailey fort, or of a late medieval castle, and learn how and why they were built. 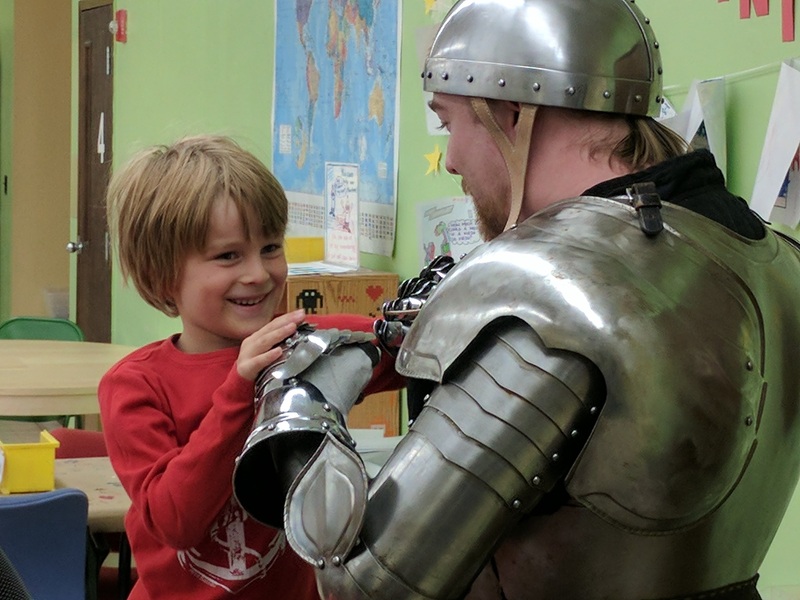 Try on real pieces of armor crafted from cloth, leather, and steel (no diamonds--sorry!) and handle replica tools and weapons in a safe environment. Learn about the materials used in equipment and architecture and why some were better than others. Join in a mounted charge on an opposing position or try to hold the line against one! In this class students will be introduced to several maker tools and activities including vector design, laser cutting, construction, crafting, LED lighting, and more! Telling a good story is a powerful modern tool. It can help you be creative, to show off your talents and even to promote yourself. In Minecraft Animation: Storytelling students will work in groups to outline plots, describe scenes and write scripts. 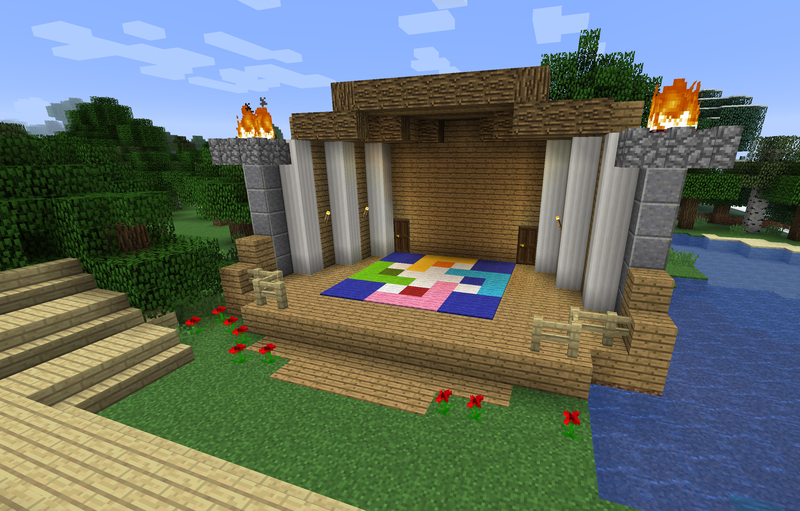 Then they will jump into Minecraft to create their backdrops and set their scenes. 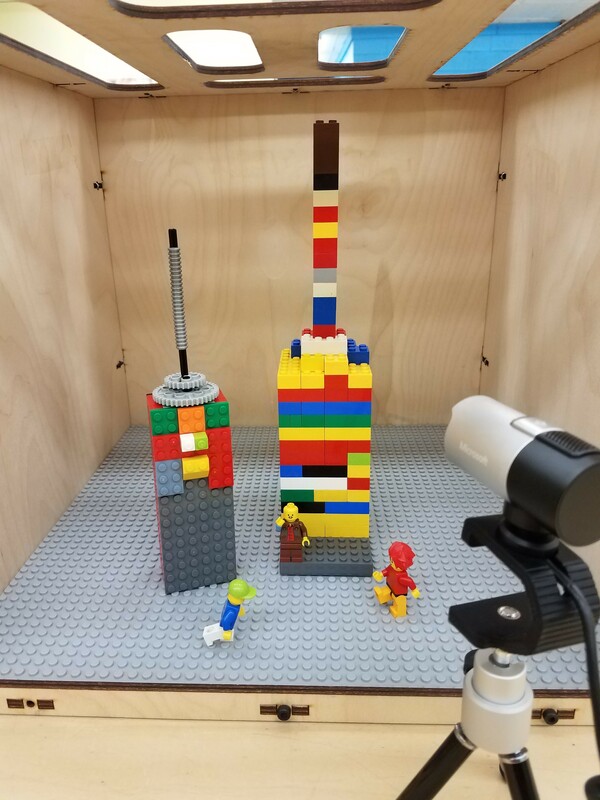 Students will film their stories in Minecraft using screen capture software, narrate with their scripts and edit their videos. Take your Minecraft Engineering to the next level with Redstone. Redstone is a type of circuit used in the Minecraft world to make analogue devices of all kinds. Learn how to wire your buildings, create lights, hidden doors, automation and even simple logic through gamified learning. Are you interested in robotics? We'll take you from the basics of building and movement to advanced navigation, sensors, and teaching the robot how to make decisions for itself! LEGO Mindstorms is a great system to build your robot and then use the drag-and-drop coding software to give it commands. This is a great first step for anyone any child including students interested in competitive robotics. 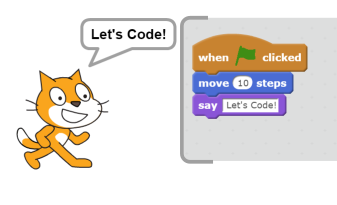 Learn basic concepts of programming using the incredibly popular program Scratch, developed by MIT. 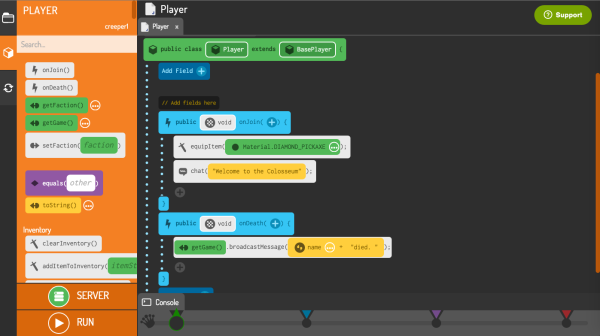 Scratch is a "block based" coding software which teaches students how to program by snapping together digital blocks of code. 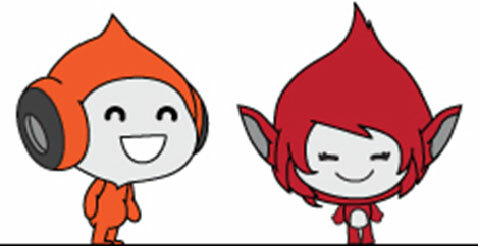 Animate stories and create simple game mechanics. No previous programming experience required! What's more fun than making movies!? Learn the fundamentals of movie making and stop motion animation. Learn how to tell a great story, design sets, and develop characters. Then create your own mini flicks or a feature length film! Learn how to design awesome 3D objects using BlocksCAD, a software program developed at Einstein's Workshop. BlocksCAD combines 3D modeling with block-based coding for an easy to use and educational experience. Print up to 3 of your designs on one of Einstein's Workshop's 3D printers! If you've taken a Scratch class before then it is time to learn new blocks and new ways to use them. Scratch offers a ton of content and there is always something more to learn. Come learn more advanced projects and concepts to make truly cool programs. Learn to create your own Mods for Minecraft using this simple tool for teaching JAVA! 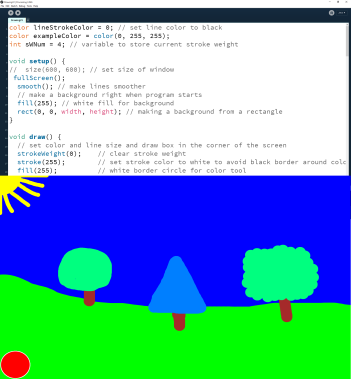 Code Kingdoms is a coding interface which allows students to code on several levels from very simple "block coding" with pictures, to more complex JAVA. This class is a great introduction to more advanced coding and no experience is necessary. Have you seen the PinBox 3000? It's an awesome DIY carboard pinball system (https://pinbox3000.com/). Each student will make their own PinBox and then customize it. We have laser cutters, we have mechanical parts, we have electronics. Let's make them amazing! Board games are more than just a great way to unplug. Moden board games use a variety of mathematical and tactical mechanisms to create interesting and thoughtful play. In this class we will play some modern board games and then begin designing and prototyping your own. You start with walls, a roof, and two floors. Then the rest is up to you! 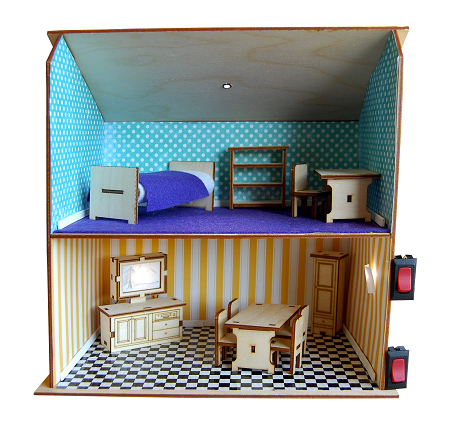 Learn templating, measurement, vector design, laser cutting, and LED electronics to make your house a home to call your own. 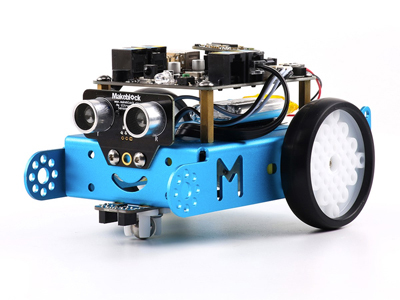 MBot is an arduino-based robot with motors and advanced sensors. This class introduces students to programming concepts and robotics through a series of fun and exciting challenges. Students will use Scratch programming to learn how to read data from the robot’s sensors and send commands to mechanical parts, bringing mBot to life as it moves, changes direction, avoids objects, and more. 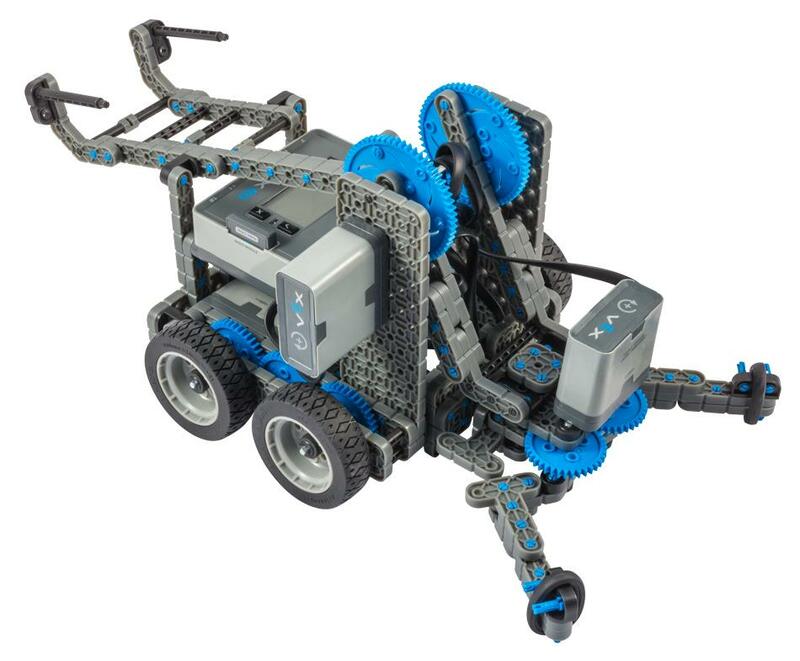 VEX IQ Robotics is a team robotics challenge in which students work with a partner to mechanically design and build a controller driven robot to earn points on the current VEX IQ Challenge board of the year. 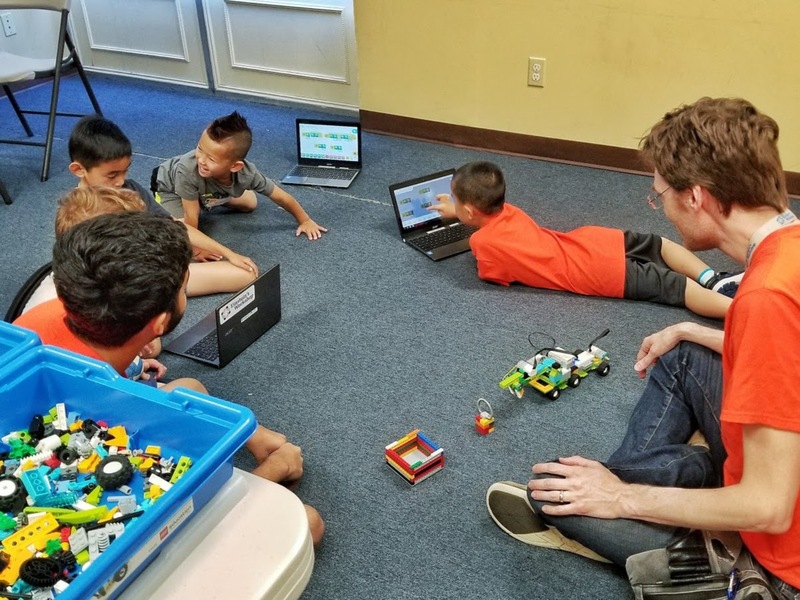 This class culminates in an in-house robotics competition where parents and the public are invited to watch students show off their robots and compete for points. 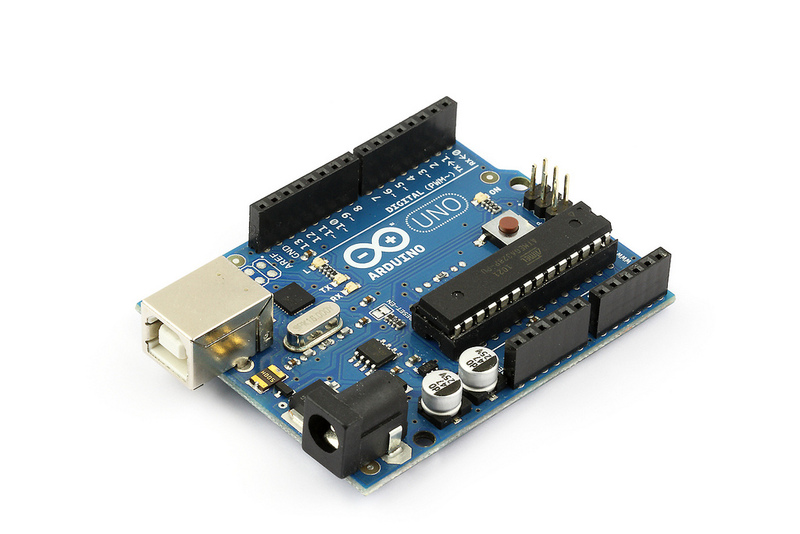 Arduino is a powerful open-source computer and electronics tool for learning and prototyping electronics. Hobbyists and professionals use Arduino to create custom projects and to design and test products and services. In this intro level class students will learn the basics of buttons, switches and potentiometers, LED and motor control, and programming. Welcome to the world of freehand Digital Art. 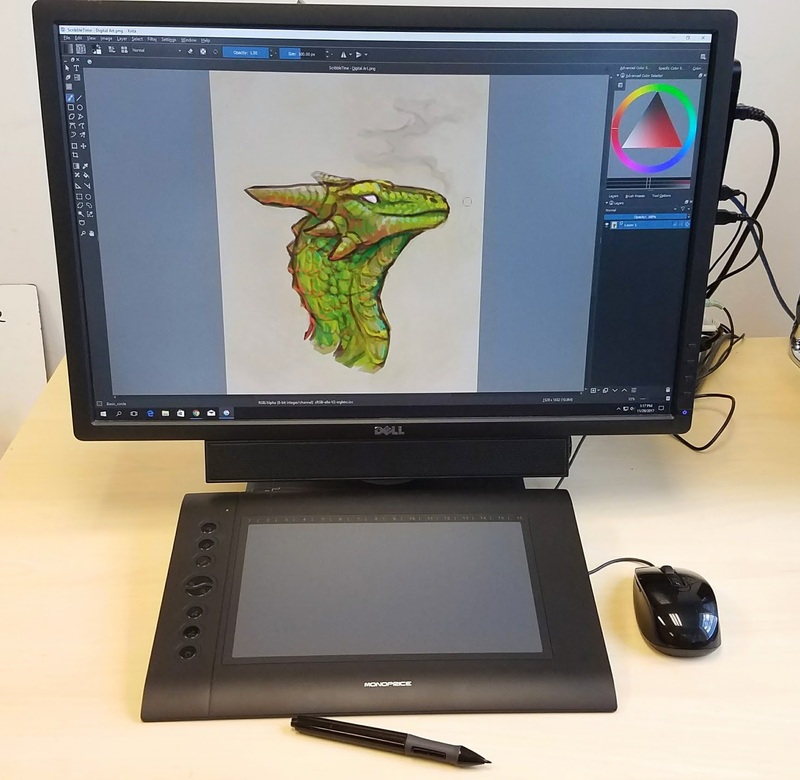 Students will learn how to use sophisticated computer art software to make incredible images. From the very beginning we will employ the use of drawing tablets so that students have all of their tools and skills at their fingertips. As they learn to use these amazing tools students will also be learning fundamental art skills such as color, composition, and layering. Unity is a powerful cross platform developer tool for creating games. This professional tool has an incredible depth of features. Come learn some Unity basics to start your journey as a game designer, or to just learn a cool tool. What does every great game start with? A great level! We'll explore what goes into making epic gameplay in this fast-paced design course using Unreal Engine, a powerful open-source industry tool used in many of today's top games. Learn the fundamentals of programming in a fun, visual, and interactive way. Make pictures, animations, and games that will wow your family and friends. We'll use a Java-based programming language called Processing. This is a development environment originally designed to help teach computer programming fundamentals, but has since evolved into an easy way for artists, designers, and researchers to easily produce visual software. Ever wanted to craft diamonds from dirt, smelt up some bedrock, or add your own custom blocks? 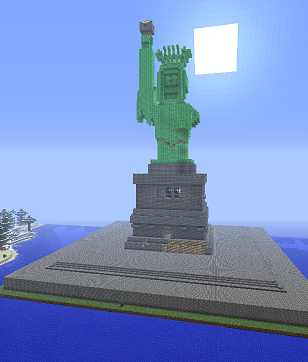 Modifications, or "Mods", are one of the coolest things about the Minecraft community. In this class we'll get you started using Java Coding to write your own mods using the Forge API. No programming experience is required. Python is a very popular programming language. In this introductory class students will learn basic coding skills to create programs and small games using the Trinket.io and PyGame interface. Do you like to solve problems and create cool solutions? Would you like to learn how? 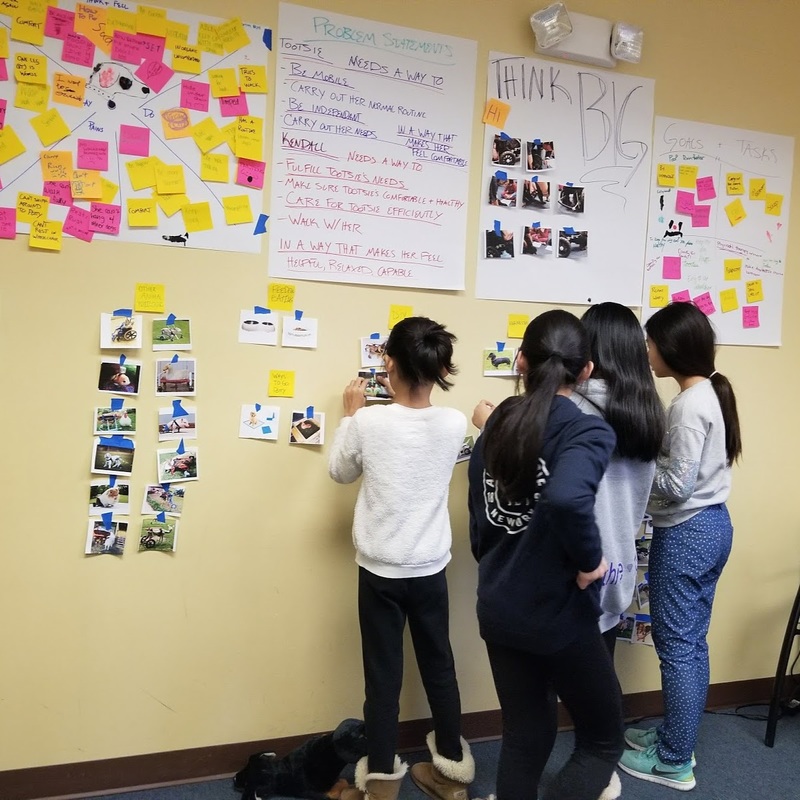 The Real World Innovation class will teach you how to research, brainstorm, design, and prototype through a series of group based activities. Activities will include everything from how to innovate on a current product to creating a whole new solution to a novel problem. 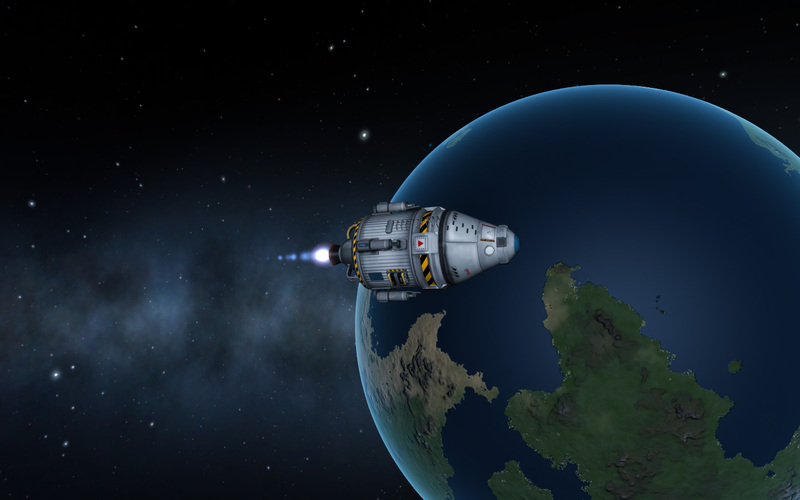 Students will use the education version of Kerbal Space Program (KSP) to develop their own space mission including rocket design, launch, and orbital controls. KSP realistically simulates the flight and behavior of a user's space ship and provides an exciting and intuitive environment for learning about space exploration, from rocket design to control to orbital mechanics. You'll learn how to create your space vehicle and the rockets to launch it into orbit.